Feeling at ease starts with making your home your own. 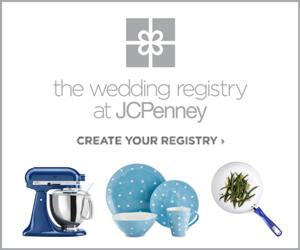 Register at JCPenney for bedroom and living room pieces to help personalize your nest. 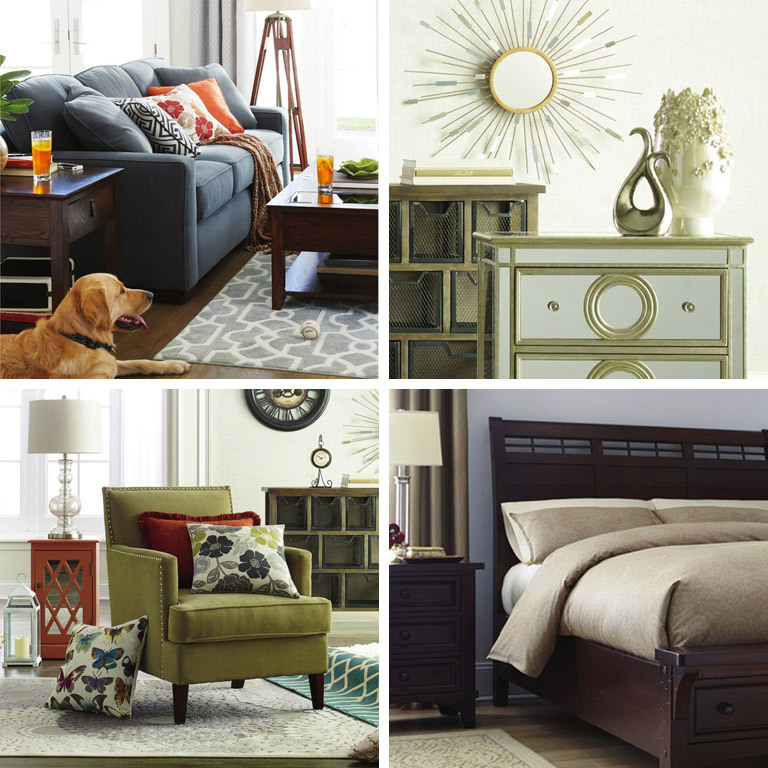 Shown above: Ellis Bedroom Furniture Collection with Studio Radius 5-pc. Comforter Set. Never go to bed mad—or uncomfortable. Well-chosen layers transform an ordinary night into a dream come true. 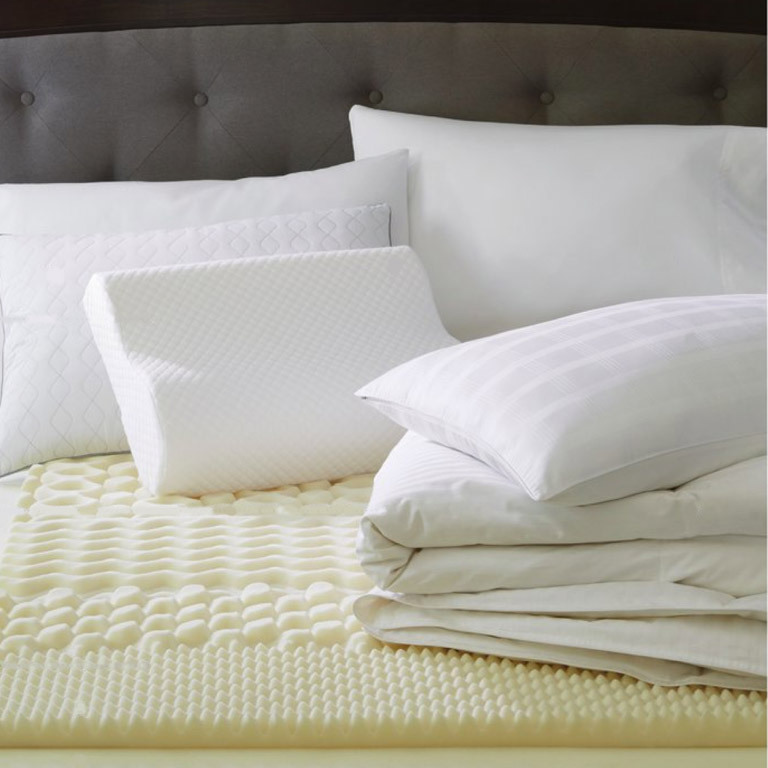 Shown here: Royal Velvet Quilted Comforter Pillow; Isotonic Contour Memory Foam Pillow; Royal Velvet Luxury Down Pillow; Royal Velvet All-season Down Comforter; and, Isotonic 7-zone Memory Foam Mattress Topper. 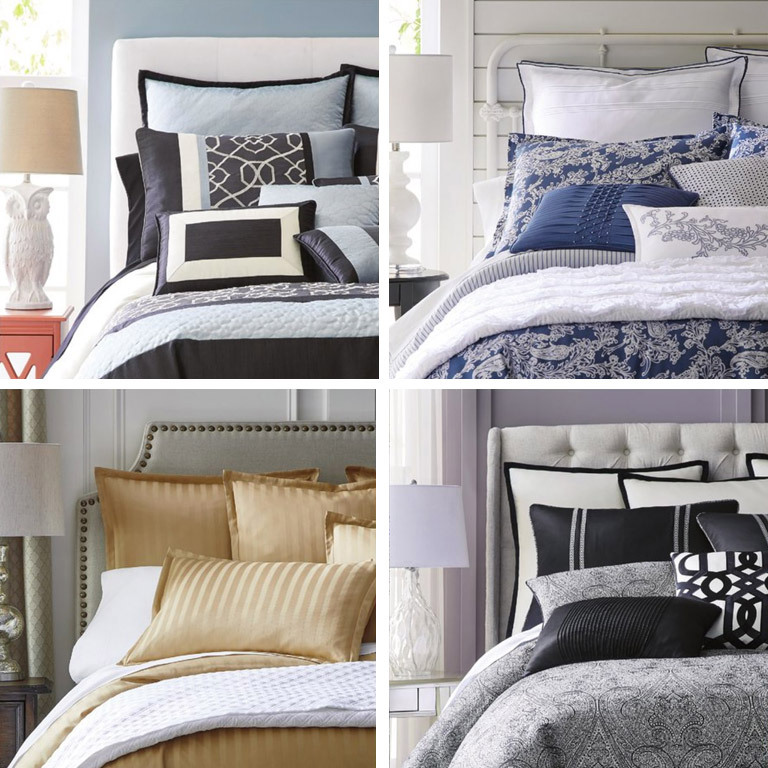 Shown here: Home Expressions Carter 10-pc. Comforter Set; JCPenney Home Hillcrest 4-pc. Comforter Set; Royal Velvet Damask Stripe Egyptian Cotton Comforter Set; and, Liz Claiborne Danika 4-pc. Jacquard Comforter Set. From lamps to rugs, the right accessories perk up the personality of your home. 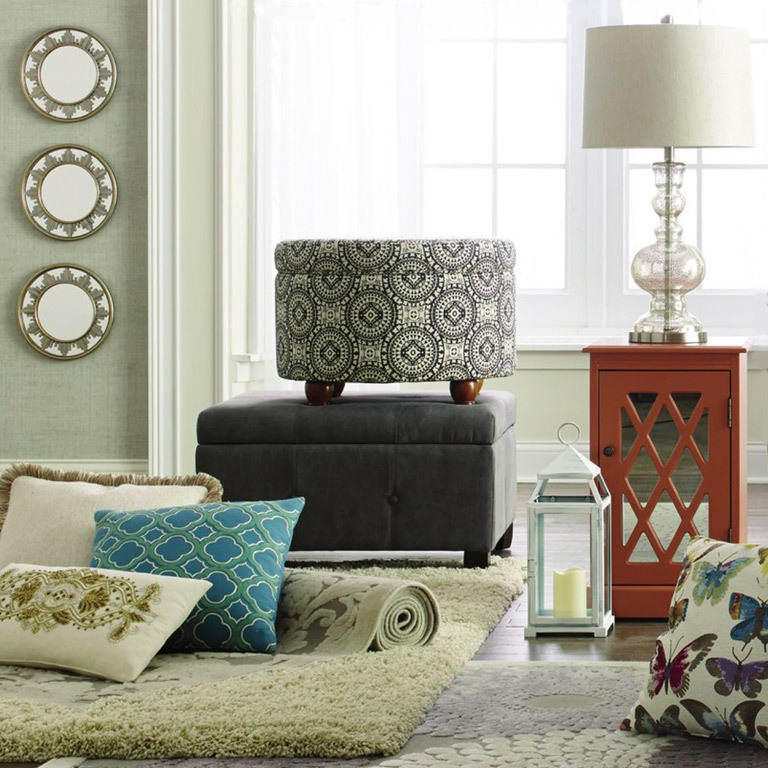 Shown here: Rory Round Printed Storage Ottoman with assorted decorative pillows and area rugs. Shown here: Fabric Possibilities Sofa; Cayleigh Mirrored Storage Chest with Stellar Starburst Round Wall Mirror; Elise Accent Chair; and, Maddox Furniture Collection. Tackling your dirty floors has never been easier with these hard-working vacuums and mops. 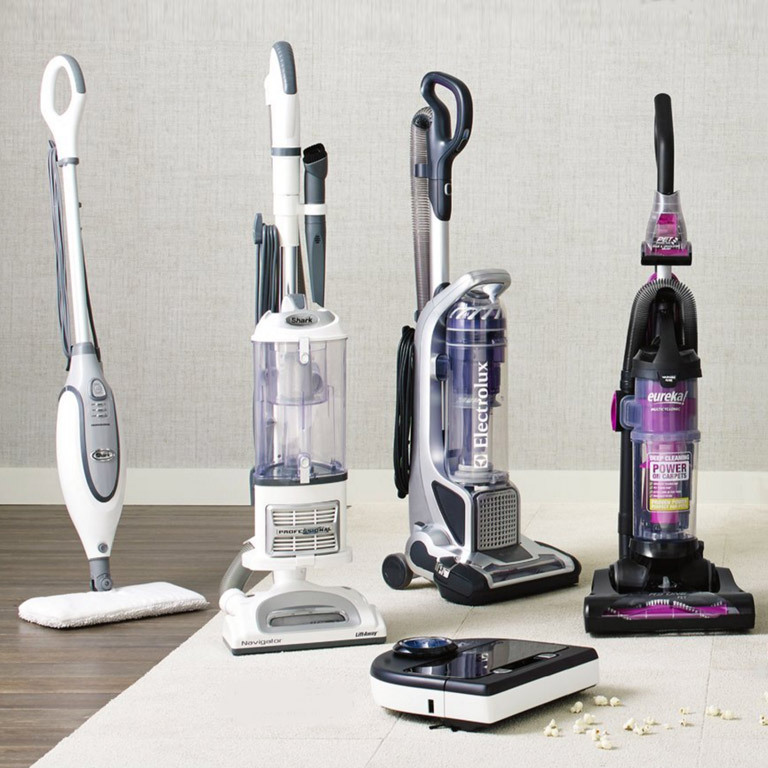 Shown here (left to right): Shark Professional Steam Pocket Mop; Shark Navigator Lift-Away Professional Upright Vacuum; Neato Botvac D Series Robot Vacuum; Electrolux Precision Brushroll Clean Vacuum; and, Eureka Upright Vacuum. 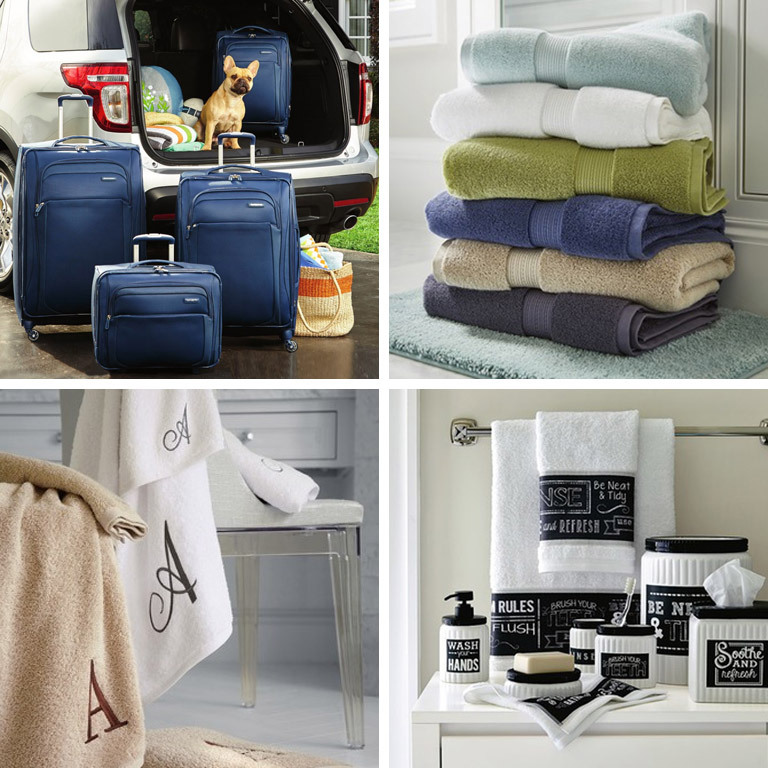 Shown here: Samsonite Soar 2.0 Spinner Luggage; Royal Velvet Signature Soft Bath Towel and Rug Collection; Avanti Monogram Script Bath Towels; and, Avanti Chalk It Up Bath Collection.